Whatever your industry and wherever you operate, PCI DSS compliance matters to you. 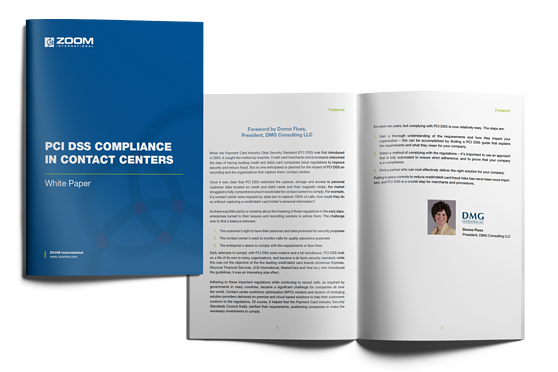 Many contact centers handle sensitive customer payment card information on a daily basis. As a result, adoption of the PCI DSS by all payment card companies presents a huge challenge. This free white paper is designed to help you understand the impact PCI DSS has on your agents, as well as your recording and storing of interactions.